My cat is a maniac and destroys scratching posts. We have a had a few ones with twine wrapped around them and she shreds them up like Wolverine on caffeine pills. The SmartCat Ultimate scratching post on the other hand is totally holding up. The way it is constructed is with sisal fabric that is incredibly durable. Not even my insane cat can rip this stuff. 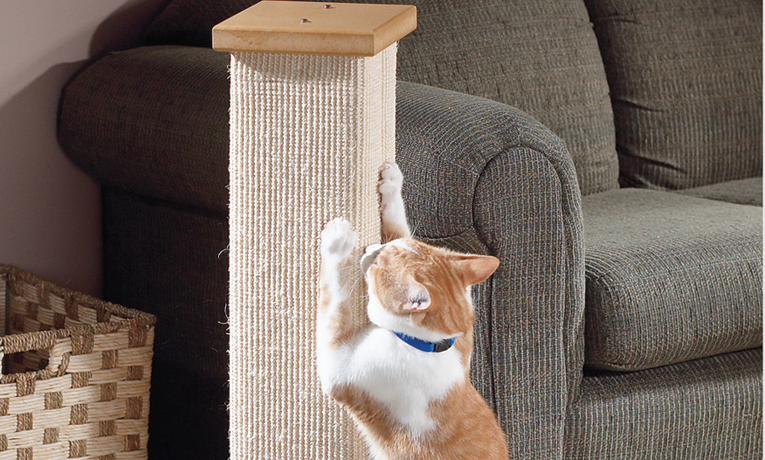 The other great thing about this scratching post is that it is high. Cats naturally want to totally stretch out when they are scratching, but unfortunately most scratching posts are just way too low. 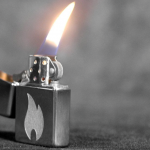 It also looks pretty nice with a polished wood base and top-cap. Call me impressed. My cat can totally stretch right out on this scratching post. It gives her the chance to exercise a bit when she stands on her hind legs and is able to fully extend. 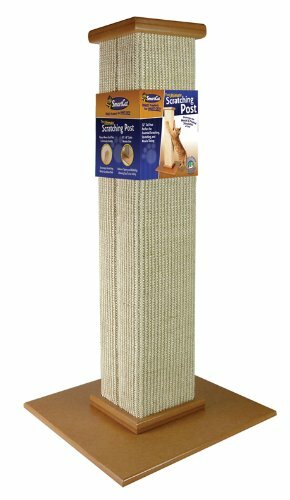 Update: My cat has been using this scratching post for well over a year now and it is standing up really well. There are no signs of major damage which is amazing since my cat’s claws are ridiculously sharp on any given day. It also hasn’t been shedding any fibres or anything like that. All around, I have to say, this is one of the best animal products I have ever purchased.